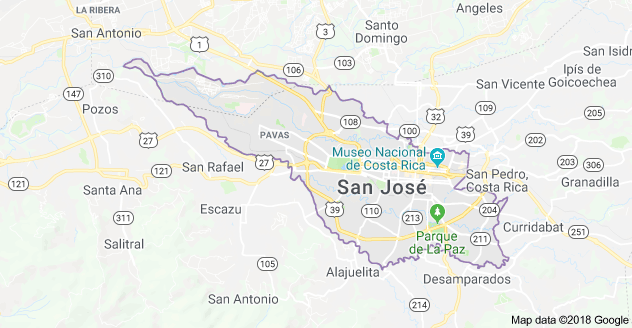 San Jose, the capital of Costa Rica has only 300,000 or so people but has merged with surrounding towns that make the metropolitan area home to approximately a million people. 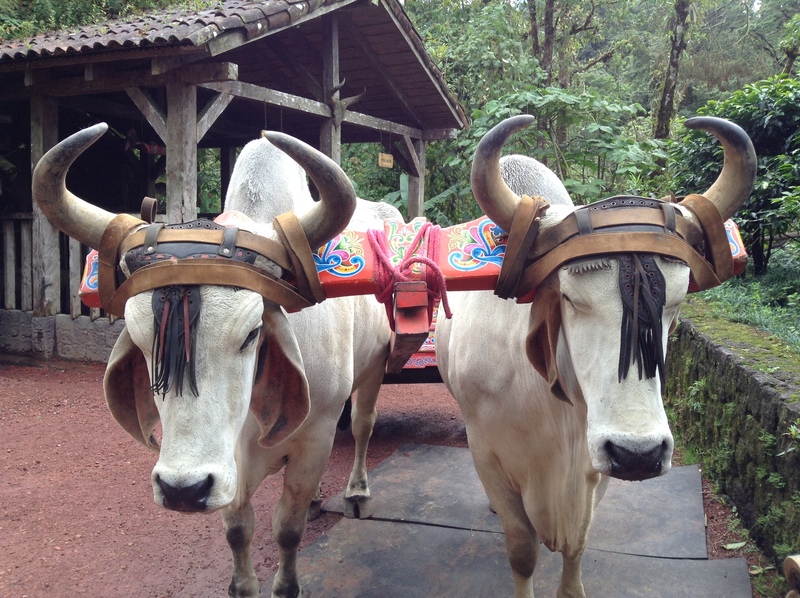 We’ve been using Uber to get around. There are some 16,000 Uber drivers here and it is the fasted and cheapest way to move about in the city. One driver had an interesting story. He escaped Cuba at 22 years old in a row boat with 8 others. 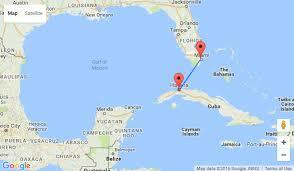 They were at sea 15 days before reaching South Beach, Miami, Florida. His mother had been able to get off the island years earlier and he had not seen her since he was 9 years old. He arrived with nothing but one change of clothes and began selling water on the street to survive. His most overwhelming impression was the freedom. He could go anywhere and order a coke and get it! His most difficult thing was how to handle his money, he’d never had money before. 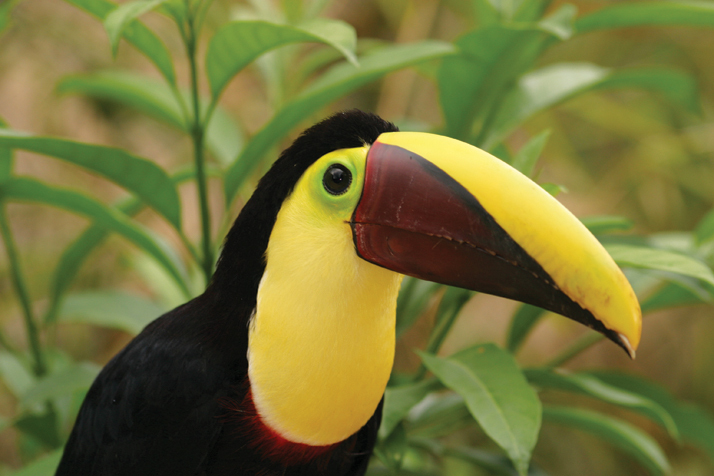 His mom lives here in Costa Rica so he eventually moved here to be near her. Today he is 36 and making a decent living driving Uber. I asked him if he had thought about God, since faith is discouraged in Cuba. He said that recently he had been pursuing faith and we encouraged him to keep searching. What courage it took to leave in a row boat and leave everything behind to find freedom! We have so much and don’t really comprehend just how blessed we are until we hear stories like this. 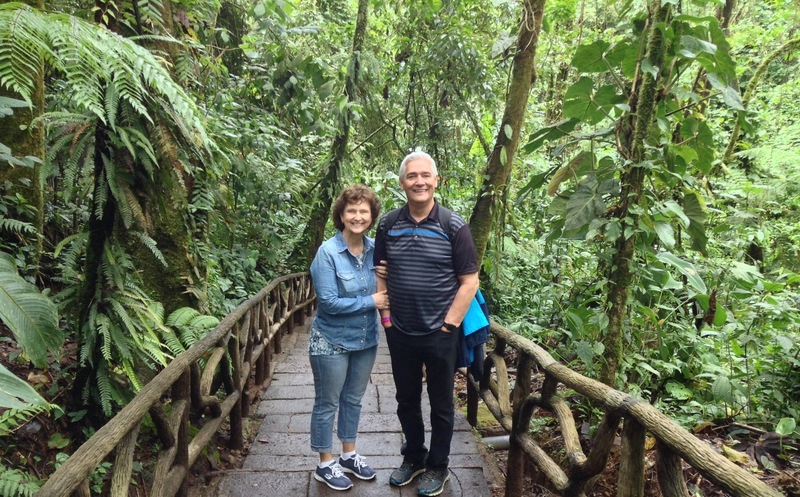 On a Saturday we drove a couple of hours up a nearby mountain to see the Waterfall Gardens Nature Park and Animal Sanctuary. 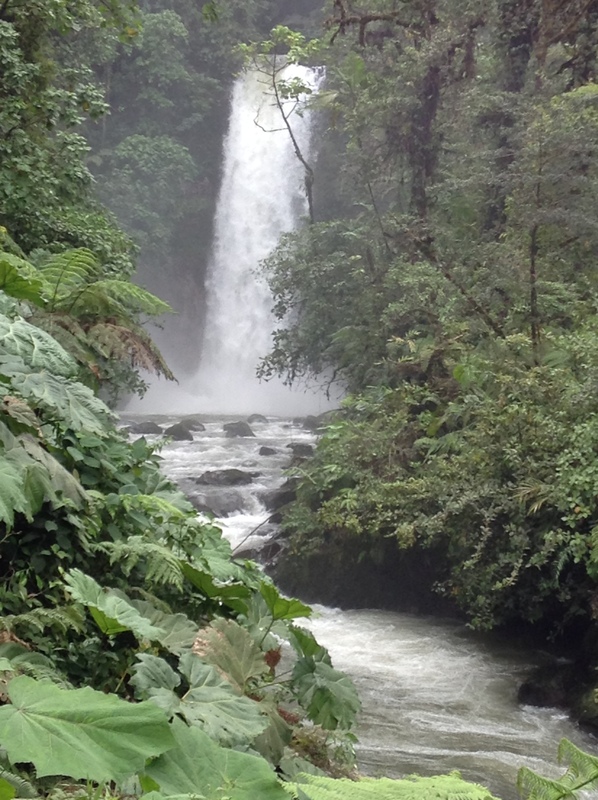 There were five waterfalls in the rain forest with a well maintained trail and lots of stairs! 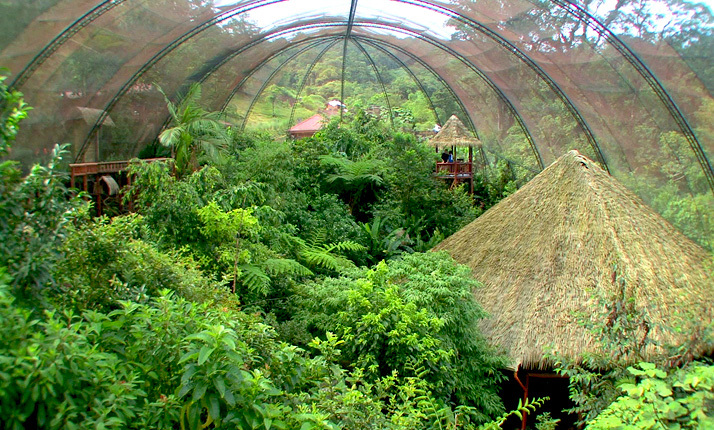 The aviary was filled with trees and plants and enclosed by a huge tent of mesh. We walked through it while the birds flew around freely. Very well done. One of the staff told us how this one crazy wild turkey attacked only new staff members. When he first started the turkey attacked him several times on his head, face and arms drawing blood. He ended up catching the bird and dunking him in the water three times. The turkey didn’t bother him anymore, but there was a new staff member and the turkey was now attacking him. How did it know? As he was telling us this the new guy was standing outside the glass door with the turkey waiting for him on the inside. If he walked back the turkey followed his every move. Finally the turkey got distracted and the new guy came in. The moment the turkey spotted him he came at him and he had to run out the door to get away. It was so funny! 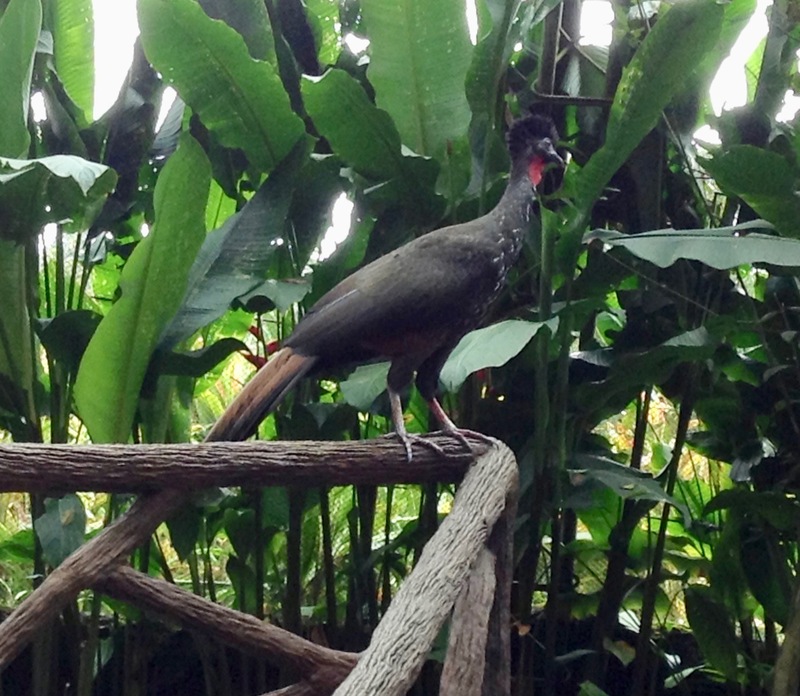 This crazy bird never attacked visitors or those who had been working there for a while – only the new staff! How did it know? The butterfly observatory was similar, as we walked through it the beautiful butterflies flew all around us. There was a frog area, insect displays and snakes. 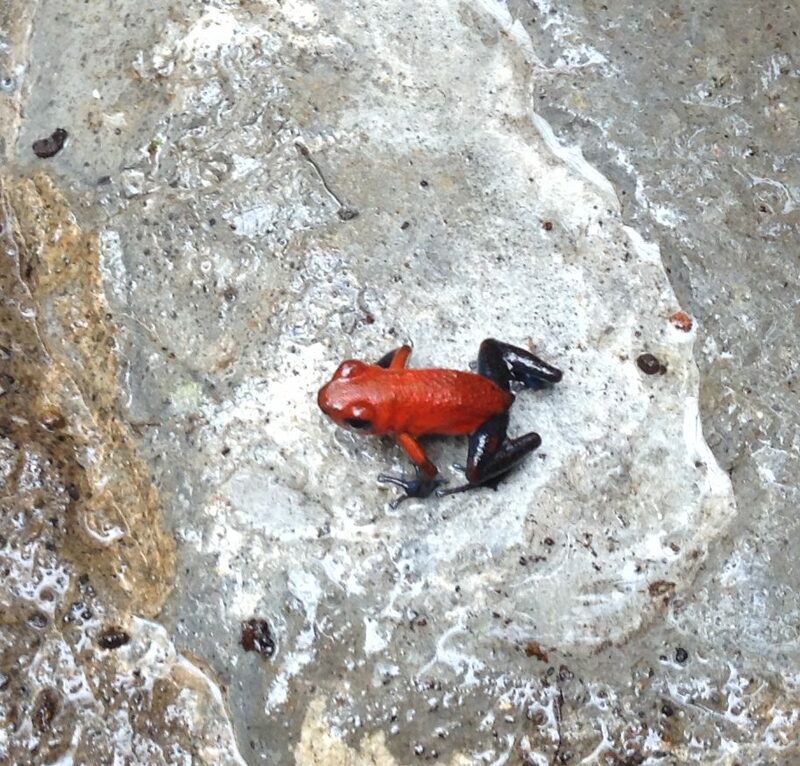 This little guy is the size of a quarter and is poisonous. 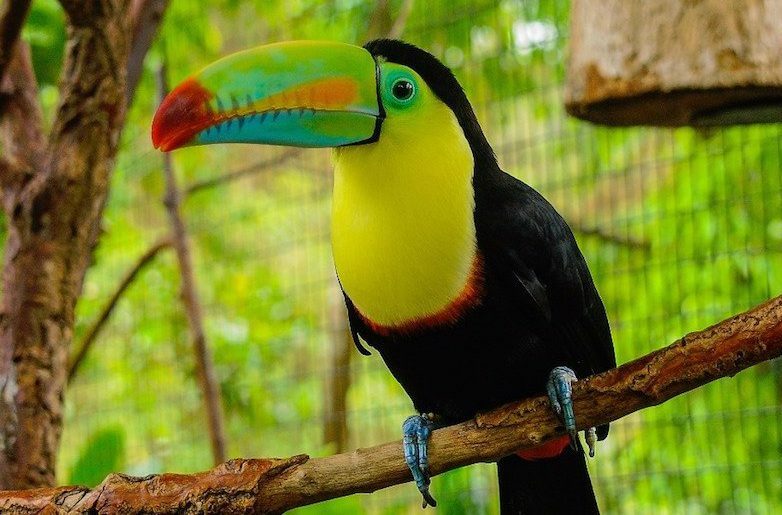 None of the animals were taken from the forest, all were rescues in one way or another. We saw jaguars, pumas and ocelot up close, what magnificent animals they are. Was great to explore a little, hope to be able to do more soon. These guys were like statues, only when they put the handle in the middle did they move. Hello friends, May God keep on blessing you as you labour for him. Hopefully we will catch up next time you are home. do you have any idea of when that will be so that I can diarize a time for coffee etc. BLessings, Lynn Violet has been in hospital for the past couple of weeks. The Lord brought her through, and I am and so is she very greatful.